It wasn’t too long ago since Mad Catz acquired Tritton, an established gaming headset company. Since then, Tritton founder and CEO, Chris Von Huben, as well former Product Manager and Developer, Aaron Smith, held on tightly to their passion for innovation and creativity in the field of gaming audio. This hold was so strong, that they decided to start a new brand in the form of LucidSound. 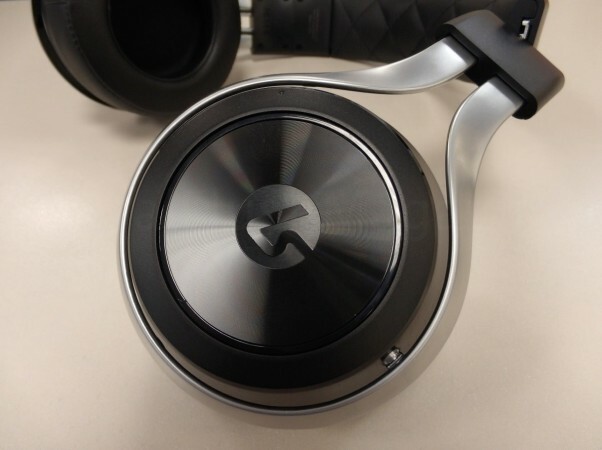 As they told us at CES 2016, the goal was to create a product that not only delivers in its sound presentation, but to also house the sort of style in a headset that you would want to brandish outdoors. This concept berthed LucidSound’s first headliner product, the LucidSound LS30. Let’s dive into the LS30 and see what it brings to the table. LucidSound’s LS30 brings a standard and respectable set of base specs in its build. Its sports what appears to be an aluminum base for the headband, which holds extending/retracting arms for adjusting to one’s head. The headband is covered by a stitched padding while the ear cups house memory foam beneath a leatherette skin. You have unique LucidSound logo-ing on the outside of each of the ear cups which has the sort of feel of a vinyl record. The boom mic is very flexible yet sturdy and houses an LED for indicating visually that your headset is muted. Remove the boom mic and the inbedded mic in the left ear cup automatically switches on and kicks into gear – great for on-the-go. The LS30 feels great, holding onto your head firmly without being too tight. The padding on the ear cups are especially nice, being especially plush and having enough give to be friendly to glasses frames. The LS30’s sturdy hold and lightweight frame is a joy to wear for those long gaming sessions, producing little to no fatigue after multiple 5 hr gaming sessions. LucidSound wanted to make a gaming headset that is attractive enough to take on the go. I’d say they definitely hit the nail on the head in the looks department. 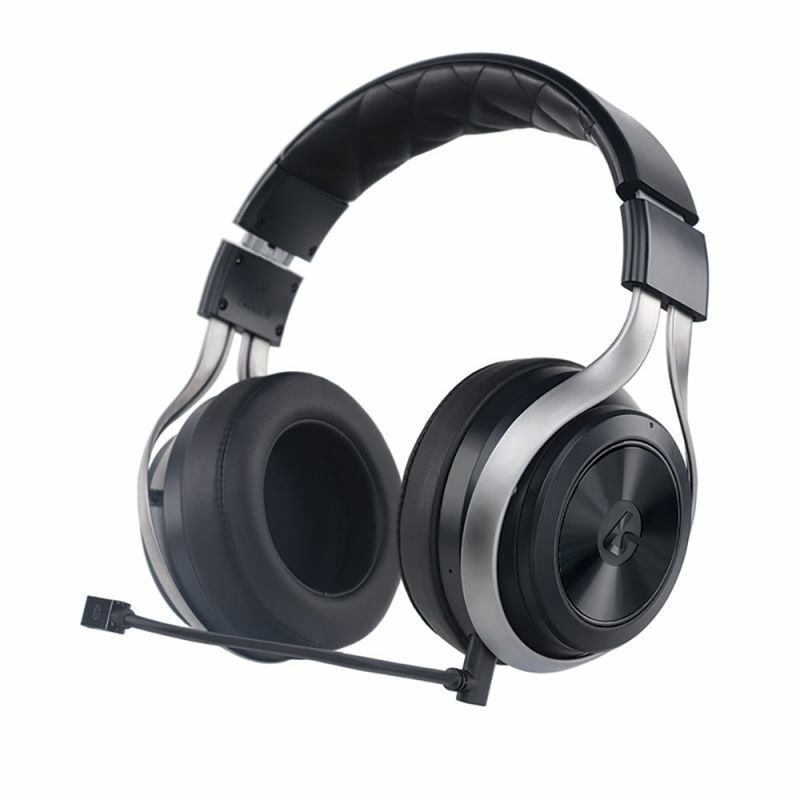 It’s a very sleek looking headset that strays away from the usually utilitarian look of a traditional gaming headset. Many gaming headsets give off the appearance of a jeep; they’re there to give you performance over everything so they maintain that appearance of ‘fancy equipment’. Out of the many gaming headsets we covered and reviewed, the LS30 has the novelty look of a headset to show off, which just so happens to be a gaming headset. I have a bit of a mixed opinion regarding the vinyl-ish logo-ing on the side, however. It looks awesome, feels odd, and attracts debris occasionally. If this is my headset on the go, I’d hate to have to mind the logos for things to brush off of them, especially given the otherwise beautiful appearance of the LS30.